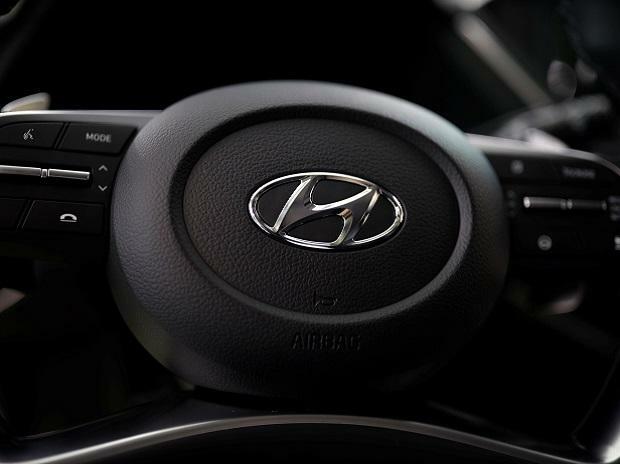 Hyundai Motor India, the second-largest carmaker in the country, will soon join market leader Maruti Suzuki in the contest for the emerging ‘connected car’ segment. The Korean manufacturer’s local arm is to launch its first such vehicle, the Hyundai Venue, in May. A compact SUV, the Venue has been developed to meet Indian driving conditions and to address the limitations that come along. Below 4 metres in length, the vehicle is to be pitched against Maruti’s Vitara Brezza, Mahindra & Mahindra’s (M&M’s) TUV 300 and Ford’s EcoSport. It will come with nearly 10 features developed specifically for the local market, the company said, apart from 23 standard ones such as auto crash notification, emergency assistance and auto diagnosis. The India-specific features address driving behaviour, vehicle tracking and geo-fencing. Ji Hong Baek, managing director of Hyundai Motor India Engineering, the company’s R&D centre, says the Venue has been developed on core technology owned by Hyundai globally. Major carmakers in the country are loading barrels for the coming battle in the field. Maruti Suzuki has already launched, as an optional feature for all its models sold through its Nexa, the ‘Suzuki Connect’. Starting mid-2018, a bunch of connected features can be added in its models like the Ignis, Ciaz, Baleno and S-Cross for Rs 9,999. Developed in India, the Suzuki Connect operates much like the promised Hyundai Venue. Both firms have taken the globally-tested path of connecting their cars through a SIM, the data stored in local cloud. Backed by customer care assistance and mobile applications through which consumers can remotely track and operate all the features. According to R S Kalsi, senior executive director for marketing and sales at Maruti, the Connect is a TCU (telematics control unit)-based solution, one safer and more user-friendly than other options. Hyundai claims its Venue would be India’s first truly-connected vehicle. It has associated with the local subsidiary of its global partner, Vodafone-Idea, for telecommunications support. M&M, the third-largest player, is also working to develop its own connected car tech. Last year, it had signed a deal with American major Ford. The two are to develop and use the technology across their respective product lines. According to Jim Farley, Ford’s president for global markets, the aim is to develop an affordable portfolio. Hyundia’s entry into the emerging segment coincides with improving data connectivity and, as seen, the preparedness of key competitors in this market, which is globally the fourth-largest for vehicles. Per capita mobile data consumption jumped 38 times to 10 GB per user per month in December 2018, from 0.26 GB in early 2014. Currently, both Maruti and Hyundai’s services are based on fourth-generation telecom technology (4G). Analysts say the launch of 5G will boost growth in the connected vehicle segment. Hong Baek is well aware of this need. He says the new car not only marks a foray into the segment but is also an avenue to test the waters before 5G’s commercial launch, by 2021. “It will take time to streamline things. We need to be ready,” he said. Last year, Hyundai had subdued growth in sales volume. While Maruti extended its share to 51 per cent in 2018 from 49.7 per cent in 2017, Hyundai’s growth stayed below 5 per cent and its market share fell marginally to 16.2 per cent. However, by choosing the compact SUV segment for its first connected vehicle, Hyundai is landing the Venue on a fertile zone. The sub-4 metre segment, a little over 26,000 units in size annually, is growing at around 20 per cent a year.